I have what you might call a "laundry fetish". I love nothing more than laundry that smells fabulous all day long. There have been many products that have come through my home and tried their best to make me happy, but not too many have held up very well. 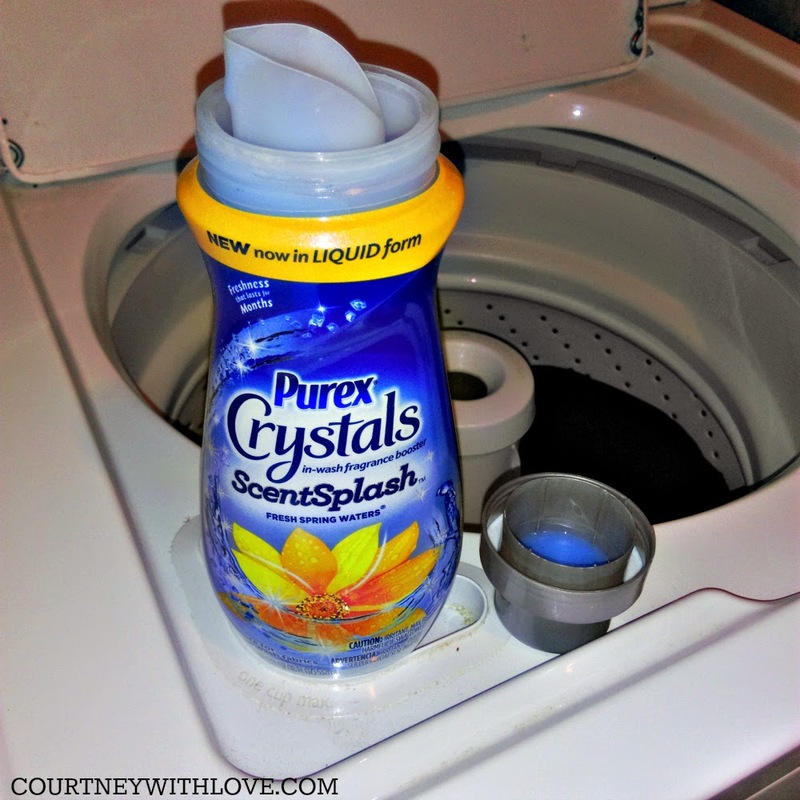 The latest product to enter my laundry room and go through testing is the Purex Crystals ScentSplash In Wash Fragrance Booster, which is in liquid form. I tried the Purex Crystals a few months ago and was quite pleased with them, so I had very high expectations for this. The day after the Purex Crystals ScentSplash arrived at my home I put it to work. I washed my bedding, and added it in. I used about 3/4 of the cap full since I had quite a bit of laundry, and I also wanted to see how well it would last on my bedding. I am a straight up Purex girl, all I use for my laundry needs are Purex brand, simply because I have had nothing but fabulous experiences with them. Purex is very affordable, but it also offers quality products. A total win for me. I washed my bedding by using the Purex PowerShot Laundry Detergent, Purex Classic Fabric Softener, and finally I added in the Purex Crystals ScentSplash. Before when I was only using the detergent and softener, my laundry would smell good, but the scents would fade away not too long after. After my bedding was washed, I moved it to the drier, and let it dry. While it was washing and drying my house began to smell like the Purex Crystals ScentSplash. It smelled so wonderful! Finally when my bedding was dry, I opened up the lid. Oh my goodness, the scent was amazing. My bedding smelled fantastic, I just wanted to jump right in! Later in the day I made my bed with the freshly washed bedding, and oh my goodness, the scent was still there and just as potent. The first night I slept in my bedding, it was like heaven. Fast forward 4 days, and it still smells fantastic! It has lost maybe 30% of its scent, but it is still going strong! I could not be more pleased! This has lived up to, and exceeded all of my expectations! 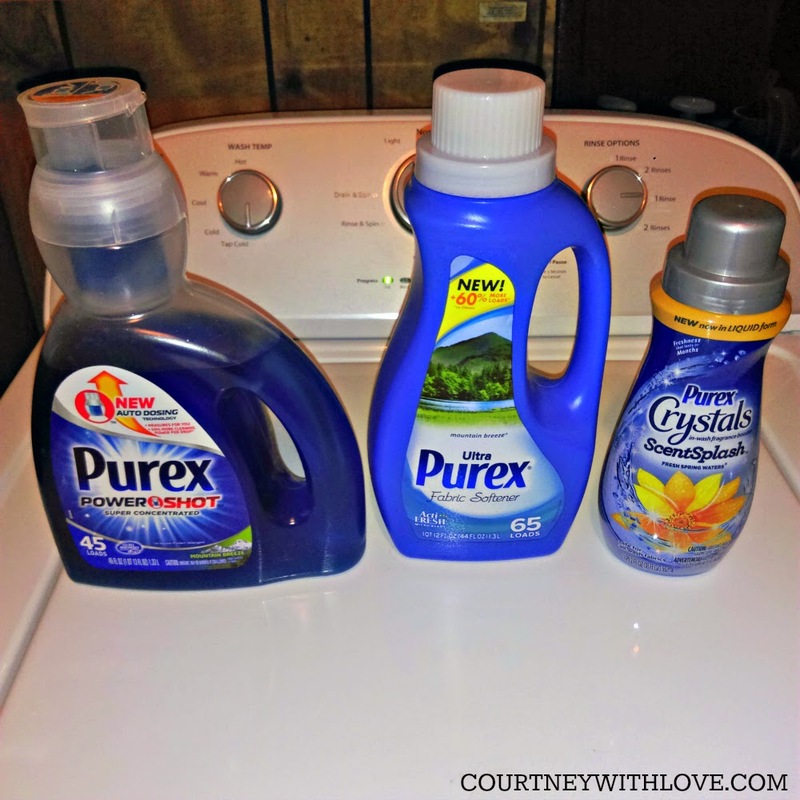 Another product from Purex that I am in love with! 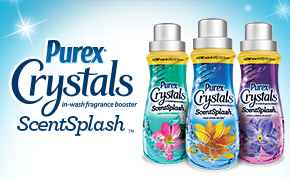 In the meantime, you can enter to win a bottle of the Purex® Crystals ScentSplash right here! This is only open to USA residents. Prize will come in the form of a coupon for a FREE bottle. 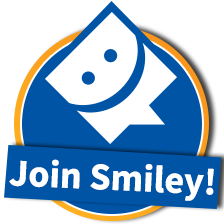 Ends May 8, 2015 at 11:59pm EST.